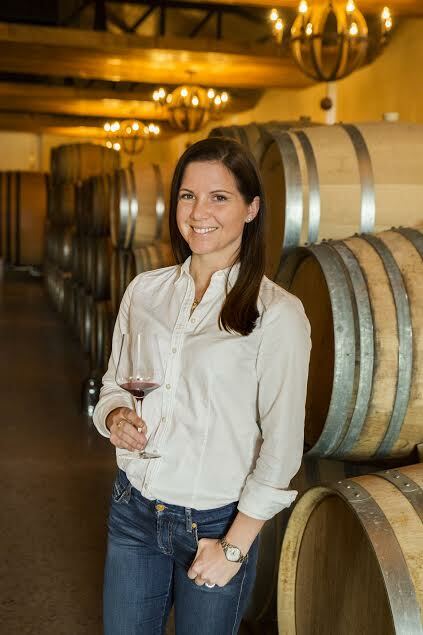 US publication Wine Enthusiast has named Andrea Mullineux its 2016 Winemaker of the Year as part of its annual Wine Star Awards. These awards honour individuals and companies that have contributed to the success of the wine industry and have shown “energy, courage, groundbreaking vision and business acumen”. This is the first time a South African winemaker has received this honour and only the third woman winemaker winner in the 17-year history of the awards. Andrea Mullineux is co-owner and winemaker at Mullineux & Leeu Family Wines, with brands: Mullineux based in the Swartland region at Roundstone Farm, as well as a new and yet to be released project based in Franschhoek at the Leeu Estate. Mullineux also has a California brand, Fog Monster Wines and is a member of the Cape Winemaker’s Guild. Since the launch of the Mullineux brand in 2007, Mullineux, together with her co-founder and husband Chris, has notched up 18 five-star wine ratings from Platter’s South African Wine Guide as well as being named Winery of the Year in both 2014 and 2016. The 2016 winners will be honoured at the Wine Star Awards Dinner in January 2017 in Miami. To see the winners in full, click here. Hi I am trying to send Andrea Mullineux a message or to get in touch with any lady wine maker for advise cause my daughter wants to study viticulture. I really want some guidence.